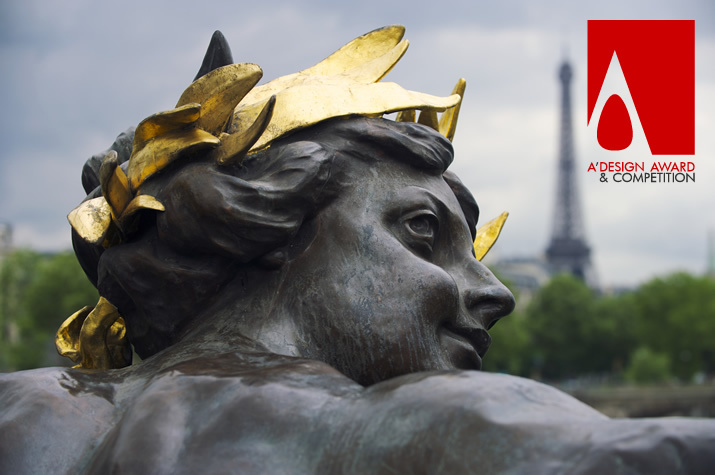 A' Design Award & Competition is the World's most international design accolade. There are several factors that make the A' Design Award and Competition the World's most international design competition. First of these factors, is the Universal Design Principle: The A' Design Award Universal Design Principle requires the competition to accept entries from all countries, all regions and from all entities let them be enterprises, governments, institutions, agencies, professional designers, young designers or academics under more than hundred different design award categories that encapsulate all fields of design including but not limited to spatial design, industrial design, service design, graphics design, communication design, as well as arts, engineering and business innovation, let these entries be concepts, prototypes or products in market, or products that have been in the market for long years. The eligibility conditions were designed to make the competition as open as possible. The A' Design Award and Competition achieved many firsts in the design competition landscape, innovating how a good design competition can be run and managed. One of the major innovations that A' Design Award brought since its foundation was the high number of design competition categories, today there are more than one hundred design competition categories at A' Design Award which means you are not limited for your ideas, you could submit anything you could think of to the A' Design Award, only except for weapons and similar class of products that are not necessarily desirable by society. The second innovation was the fact that the competition presentation was translated to almost all languages, this was a first in the design competition space, previous competitions which position themselves as international, only had one or two languages while the A' Design Award is in almost all languages. Furthermore, the A' Design Award and Competition also translates the winning works to other languages, that means your award winning work is translated to other languages potentially reaching billions of more people. World Design Rankings was also a great achievement by the A' Design Award and Competition, since the A' Design Award is universal and open to submissions from everywhere and from every design field and category, we were able to announce the ranking of countries based on the number of awards won, World Design Rankings also provides insights on design business for each country. Similar to the World Design Rankings, the A' Design Award also publishes the DAC - Design Award Classifications where you could learn the best designers and companies for specific design categories, for example the best architects or the best graphic designers. A final aspect that makes the A' Design Award, the World's most international design competition is the extensive PR Agents network of DesignPRWire which promotes award winning designer works in almost all languages and countries by pitching the media members in different regions in their own dialects and languages. Last but not least, the A' Design Award and Competition undertakes many initiatives to make sure that the competition stays international, some of these initiatives are the international design exhibitions, workshops and participation in international events. 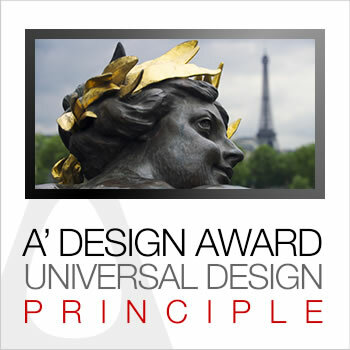 It is important to note that the Universal Design Principle of the A' Design Award and Competition was an initial decision when the accolade itself was designed, the A' Design Award and Competition was designed to be universal; open to all countries, all designs, and able to reach audiences from across the globe in their own languages and media. The Universal Design Principle is not just about the openness or vast reach of the competition, furthermore for entries to the A' Design Award and Competition, Universal Design approaches that make the submitted products, services and ideas relevant to, benefactory for and usable by most of the population are sought whenever possible, yet the designs are not necessary need to be populist either, original design solutions that address special needs and provide niche solutions to unique problems are also given great importance, since our understanding of Universal Design is inclusive. When you take part in A' Design Award, you compete with designers from across the globe, and you compete with creators, makers, artists, architects, engineers, innovators, entrepreneurs, research and development teams, creative agencies, in-house design departments of large enterprises, on equal ground. The A' Design Award and Competition, was designed to be the most international design competition, reaching designers, design enthusiasts and design press in all countries and in all industries..